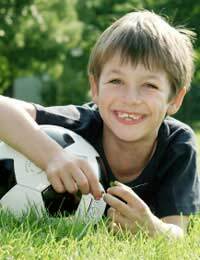 Attention deficit hyperactivity disorder is a condition that is probably present from birth. It shows signs and symptoms that can be used to diagnose ADHD from the age of about 4. Although some people do find their symptoms reduce as they grow up, at least half of children with ADHD find it carries on throughout their lives. Conquering ADHD is therefore more about coping with it and minimising its impact on life, rather than curing it. The condition known as ADHD has only been recognised fairly recently. The symptoms were noted and described by a doctor called George Still in 1902 but it took until 1987 for an accepted definition to be developed. This is now approved by the World Health Organisation and it describes the disorder as involving inattention (not being able to focus or concentrate), hyperactivity (not being able to sit still, settle, or stay quiet) and impulsivity (children with ADHD often blurt out in class or at home and cannot stop interrupting). ADHD is thought to be caused by an imbalance of the chemical neurotransmitters in the brain, particularly in the parts that control behaviour and concentration. There is no way to restore this fine balance with our current knowledge, but some drugs, such as Ritalin, can help some people. This is not really understood. Genetics plays an important part because ADHD tends to run in families. Some minor brain damage during birth, or before birth, may be a factor in some cases but, often, there is no explanation. We know more about what definitely does not cause ADHD – bad parenting or poor parenting skills, watching TV or playing on-screen games or things that you eat. However, all of these environmental factors can make the symptoms of ADHD worse. Eating a healthy diet, for example, high in fish oils, can really help some people cope very well. Once a firm diagnosis of ADHD is made by a specialist using one of the approved ADHD checklists or symptoms, the affected child and his or her parents start a lifelong challenge to conquer ADHD. Having to live with such a chronic condition that affects behaviour, impacts on every part of life. School and later work, relationships, organisation, health and your place and role in society are all more difficult because of ADHD. Coping strategies can work well though, and good habits and routines established in childhood can help adults deal with ADHD very effectively. A good routine, with regular sleep, a healthy diet and regular exercise are at the core of a lifestyle that can reduce some of the worst problems caused by ADHD. ADHD treatments are available and your doctor and ADHD specialist can advise you best on your child’s treatment or your own treatment. It is important to go for regular checkups and reviews as your needs will change as you get older. Having the optimum treatment is the best way to make sure that ADHD is not causing more problems that it needs to. Many people do manage to conquer ADHD to the extent that they lead normal, happy and fulfilled lives. There are a few people with ADHD who excel in their job or some creative art, but these are really the exception. Conquering ADHD is about focusing on your needs and the way that you can live to get the best out of life. For many people with ADHD, having a good, long-term relationship, a happy home life and staying in work for most of their life can be the signs of huge personal achievement. Many people who don’t have ADHD fail to manage it – but achieving a good and balanced life in spite of ADHD takes extraordinary courage and persistence.